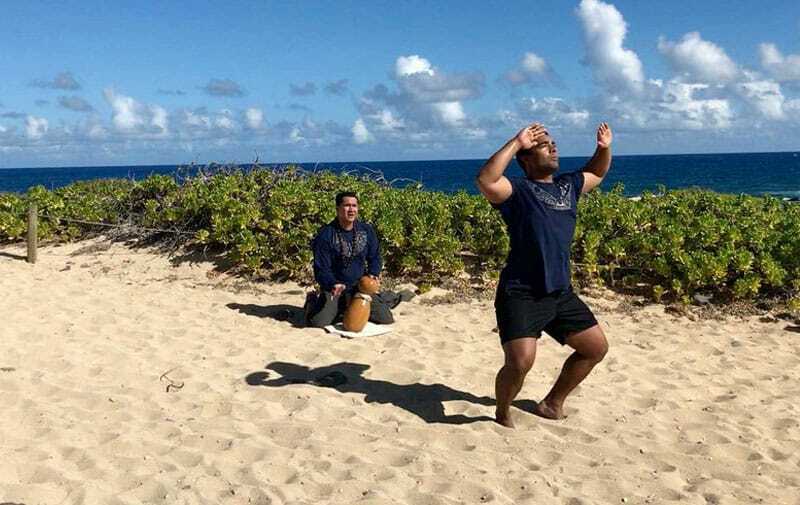 Standing in the hot sand at the tip of Ka‘ena Point, La‘akea Perry, master teacher at Kei Kai o Kahiki, an all-male hula school, begins to chant, his voice trembling in a lilting vibrato. The words of the oli impart a greeting, one that conveys both a deep love for O‘ahu’s west side and an inherent responsibility to the land. When the oli ends, the hula begins. La‘akea kneels and begins to beat the ipu heke, a golden double gourd instrument, as his student, Ka‘ena — who shares the name of the point on which he dances — adopts a stance reminiscent of an ancient warrior. 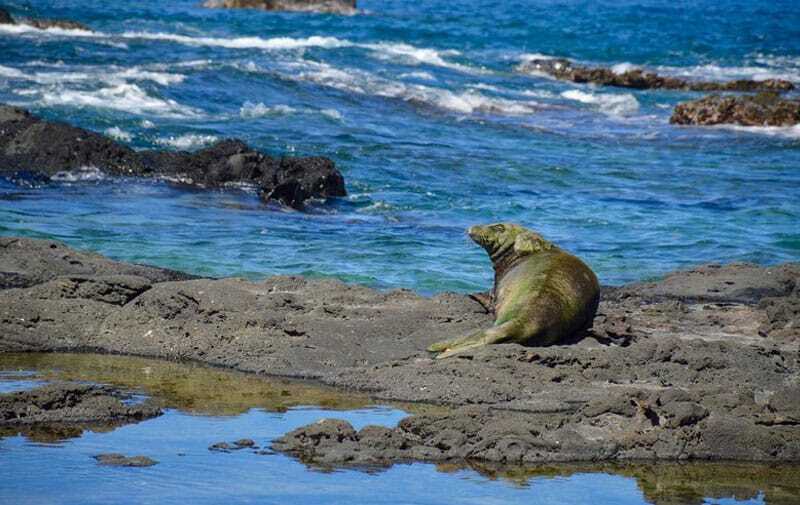 La‘akea’s voice and his rhythmic drumming rise above the rush of the Pacific. This time he chants a mele about Hi‘iaka, favorite sister of the fire goddess Pele, who walked to Ka‘ena Point to visit her ancestral divinity. During the journey she chanted an oli of her own, describing the intense effects of the sun’s heat on her body and the landscape — a heat not unlike the one that we encountered during our hike that morning. The word mana in native Hawaiian translates as life energy or spiritual power. On O‘ahu’s untrodden west coast — a 20-mile stretch of shoreline from the Ko Olina Resort to Ka‘ena Point — mana takes shape in the volcanic Wai‘anae Mountains and the vast cerulean Pacific, in tales of ancient ali‘i and in the passion and perseverance of a new generation of cultural practitioners. Rich in oral tradition, the leeward side, with its slower pace and sunnier skies, feels a universe away from the cluttered development and homogenized high rises of Honolulu. It may also have the most potent mana on the island. I’ve come to hear its stories. 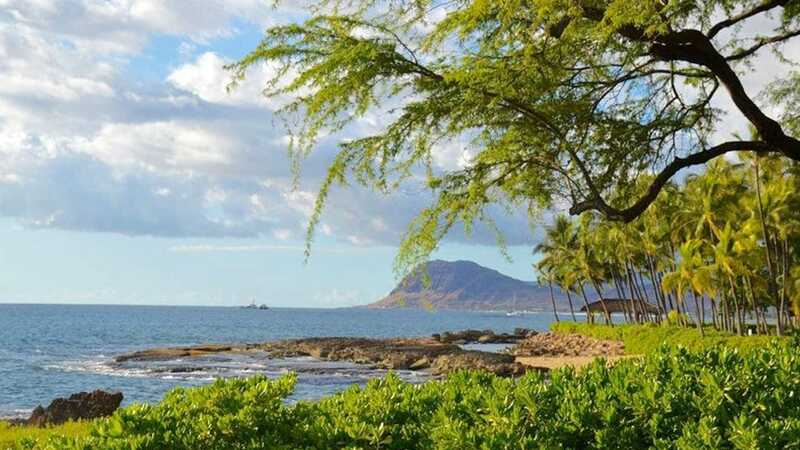 A 10-hour flight followed by a 25-minute drive toward Kapolei delivers me to the airy Four Seasons at Ko Olina, where, in typical Hawaiian fashion, a cool drink and an equally cool towel relieve the weariness of travel. My room overlooks a wide, emerald-blue lagoon and I’m tempted to plant my jet-lagged self on the balcony for the remainder of the afternoon, but I’m on a mission. Instead, I head back out to explore the side of O‘ahu that most visitors rarely see. Driving west on Farrington Highway I pass the low-slung, wooden houses that make up the working class neighborhoods of Nanakuli, Ma‘ili, Wai‘anae, and Makaha, home to the largest percentage native Hawaiians in the archipelago. Here, businesses lining the busy road — Aloha Gas, L&L Hawaiian Barbecue, Mike’s Bakery, BK Superette — cater to locals. Aside from nearby Ko Olina, the polished tourist infrastructure that exists elsewhere in the Hawaiian Islands isn’t part of O‘ahu’s west side story. But no one seems to miss it. On a sunny Sunday afternoon families fill the oceanfront parks that dot the entire length of Farrington. 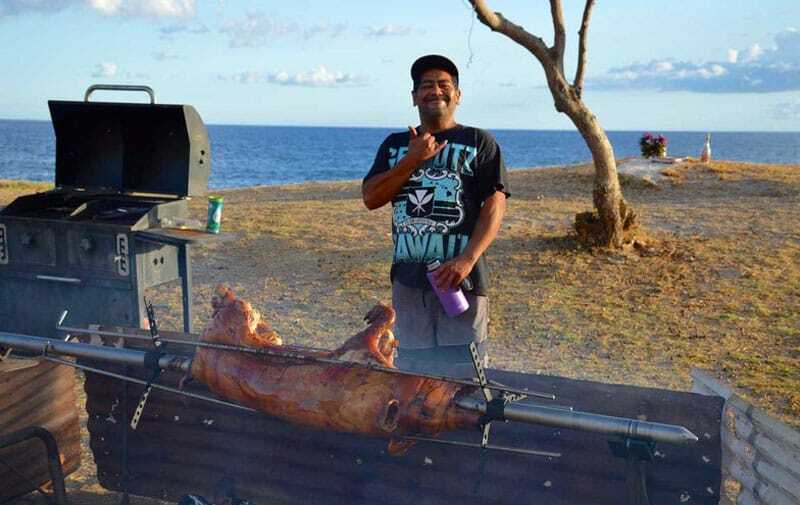 At Ma‘ili Beach, smoke wafts skyward from a barbecue tended by a man whose large, tanned belly spills over the waistband of his red swim trunks. Diapered toddlers run squealing across the grass chased by older siblings while grandparents sit and talk story — the Hawaiian term for shooting the breeze — in lawn chairs placed beneath pop-up canopies. Further west, the highway narrows and as I approach Keawaula Beach, one of O‘ahu’s most spectacular, harbingers of the region’s poverty mar the natural beauty — husks of abandoned cars sit along the road while tarps strung between palms and sea grape trees shelter some of the island’s homeless.